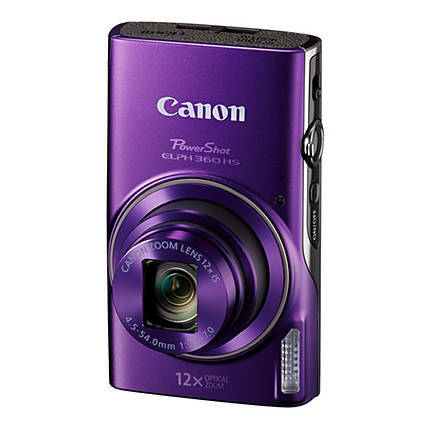 The Canon PowerShot ELPH 360 HS Digital Camera - Purple is an easy-to-use camera that offers a fusion of sleek looks, modern technology, and an intuitive interface for amateur photographers. 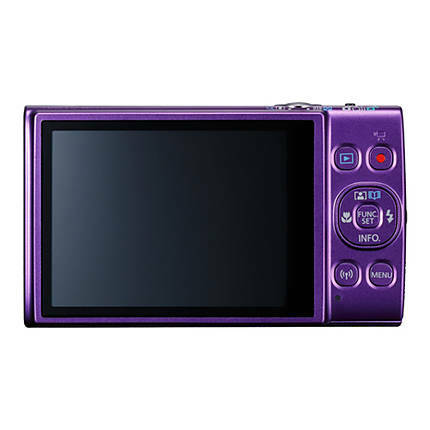 It features a 20.2 MP CMOS sensor that combines with the DIGIC 4+ image processor to help deliver an outstanding image quality even in low light. The Hybrid Auto function lets you record up to four seconds of video before every image you capture, then automatically combines each clip and image into a quick video recap of the day. Use the Story Highlights function for enabling the camera to compile pictures and videos automatically from a particular day or event into a mini highlight reel with effects and music. 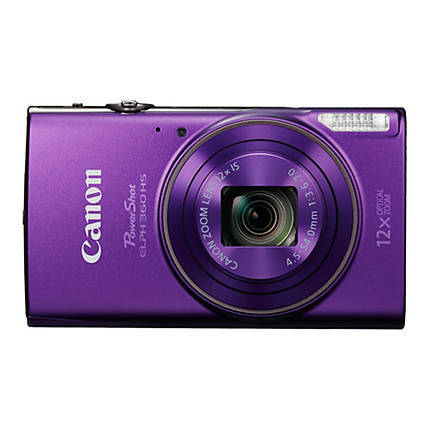 The Canon PowerShot ELPH 360 HS’s lens is equipped with a 12x Optical Zoom, along with an optical image stabilizer that gives you the freedom to capture images with immense ease and flexibility. The PowerShot ELPH 360 from Canon features a 20.2 MP CMOS sensor that delivers an outstanding image quality even in low light. 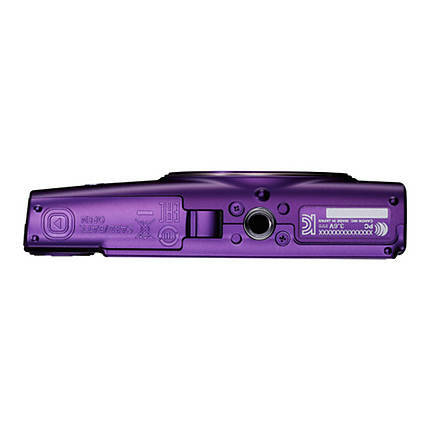 The large 3.0-inch LCD allows for an easy viewing even from a wide angle. 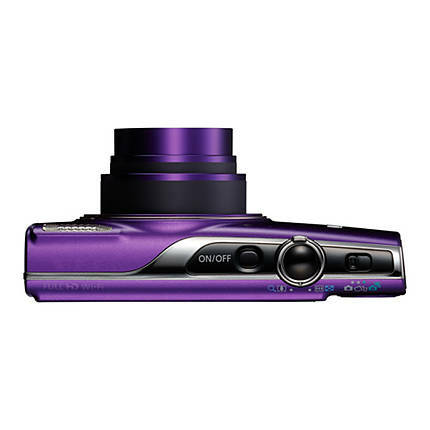 The PowerShot ELPH 360 comes with an advanced DIGIC 4+ image processor that processes images with a stunning blend of speed and quality. 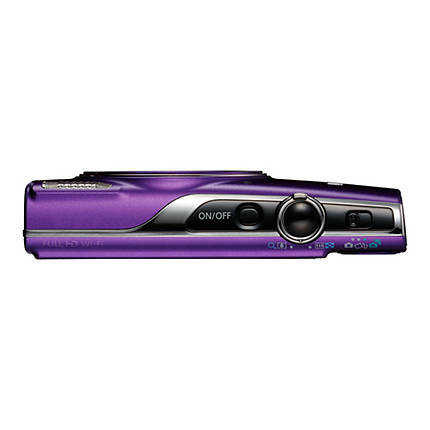 You can record stunning Full HD videos at a 1080p resolution. The Hybrid Auto function lets you record up to four seconds of video before every image you capture, then automatically combines each clip and image into a quick video recap of the day. The Creative Shot mode makes use of composition, color, and lighting from your original image to create unique images with an artistic flair. 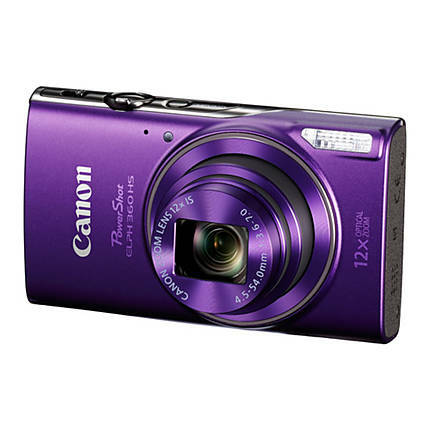 The Canon PowerShot ELPH 360 HS comes with the Story Highlights function that enables the camera to compile pictures and videos automatically from a particular day or event into a mini highlight reel with effects and music. Powering this camera is an NB-11LH battery pack that can be charged with the CB-2LF battery charger. Also, this camera includes a WS-800 wrist strap.